Altomonte’s, our local Italian market, recently moved and expanded. Lucky for us. Now they have room for more of everything we love. When we stopped in this morning, the butcher, an old acquaintance, introduced us to a new type of steak they are carrying—Certified Piedmontese beef, from an Italian breed of cattle raised in the USA. We bought a cowboy ribeye steak (a ribeye on the bone) and pan-seared it for a late lunch today. True enough, the meat was lean and tender with great flavor. 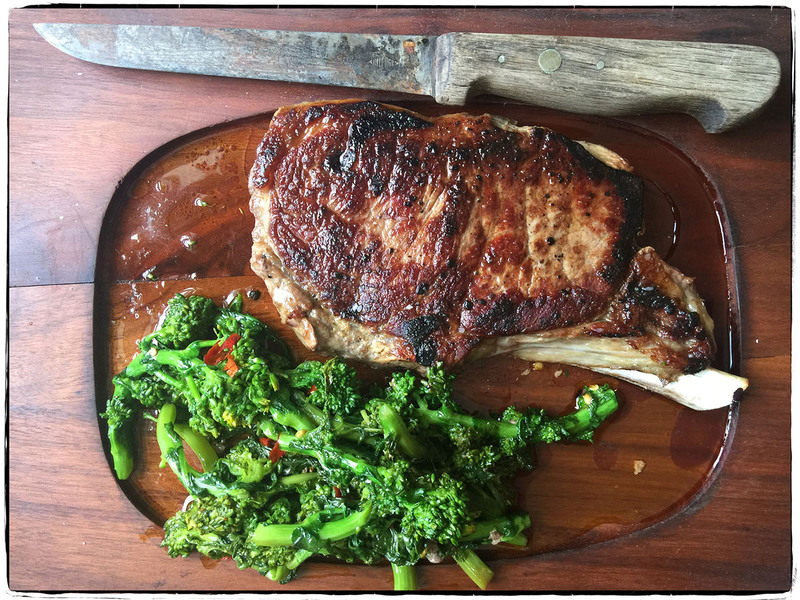 What’s a good Italian steak without some sautéed broccoli rabe? No dinner for us tonight.